To avoid complaints of hard starting, 1952 Buick owners should be advised on the proper use of the accelerator pedal for starting the engine. Before attempting any correction in fuel system make certain that the battery and ignition system are in proper condition. See paragraph 10-44. If the choke unloader goes into action too soon it may cause hard starting when engine is cold. If choke unloader goes into action too late or not at all, it may cause hard starting when engine is partially warm, hot, or flooded. See paragraph 3-20 (Carter) or 3-29 (Stromberg). Such gasolines are not necessary in a Buick since the automatic choke has been designed and calibrated to provide easy and positive starting with fuels of ordinary volatility, but if the owner wishes to use volatile gasolines the automatic choke thermostat should be adjusted for a “lean” setting (par. 3-10). If the 1952 Buick engine operates too long on the fast idle cam, check the choke thermostat setting (par. 3-10) and the fast idle adjustment (par. 3-20, Carter, or par. 3-29, Stromberg). 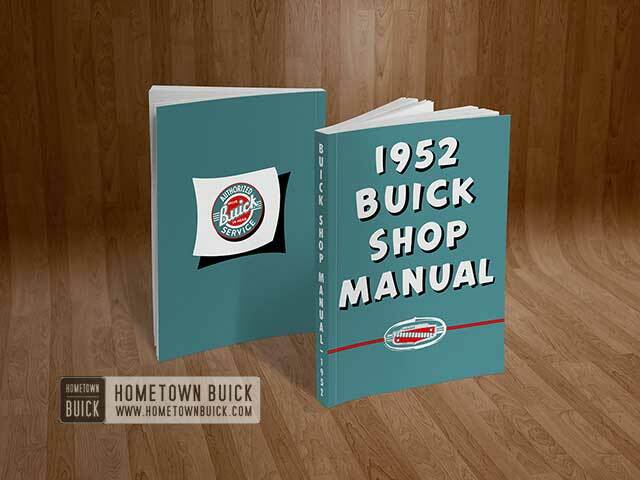 Complaints of excessive fuel consumption of a 1952 Buick require a careful investigation of owner driving habits and operating conditions as well as the mechanical conditions of the engine and fuel system; otherwise, much useless work may be done in an attempt to increase fuel economy. High speed is the greatest contributor to low gas mileage. Air resistance increases as the square of the speed. For instance, a car going sixty miles an hour must overcome air resistance four times as great as when going thirty miles an hour. At eight y miles an hour the resistance is over seven times as great as when going thirty miles an hour. Over seventy-five per cent of the power required to drive a car eighty miles an hour is used in overcoming air resistance, while at thirty miles an hour only thirty per cent of the power required is used to overcome air resistance. Fuel Leaks. Check all gasoline pipe connections, fuel pump bowl gasket, gasoline filter gasket, and carburetor bowl gasket. Automatic Choke. Check for sticking choke valve and improper setting of thermostat (par. 3-10). Fuel Pump. Check for excessive fuel pump pressure (par. 3-15). Carburetor Adjustment. Check idle adjustment (par. 3-10). On Carter carburetor, the metering rod setting may be checked without removing carburetor. For all other corrections to high speed and power systems of Carter or Stromberg carburetors, the carburetors must be removed and disassembled.